When individuals are suffering from back discomfort, physicians will offer conservative methods to help manage the pain such as medication and physical therapy. If those treatments fail, more aggressive therapies such as epidural injections may be tried. If the patient continues to experience pain, spinal surgery may be the answer. If a doctor or back surgeon in Los Angeles has recommended spine surgery to you, you’re likely experiencing a wide range of emotions. While you hope that a surgical procedure will help alleviate pain, such procedures are intimidating for most people. As a result, it is important to prepare oneself emotionally before the surgery date arrives. Fear is a natural byproduct of the unknown and being properly educated about an upcoming surgery can help patients better understand the procedure and defuse unnecessary anxiety. It is important that individuals sit down with their surgeon before the operation, and have him or her explain what will happen. Most individuals can think of a host of questions for their doctor when they are at home and quickly forget them when they arrive for a visit. Keeping an ongoing list of questions and bringing it to the appointment will help keep patients informed. Many doctors’ offices also have pre-printed pamphlets that describe commonly performed surgeries so that patients have access to additional valuable information. Unfortunately, no surgical procedure ever has a guarantee that its outcome will leave the patient pain-free. Developing hopeful, but realistic expectations can help prepare individuals to understand that they may not achieve the exact results that they hope for. Keeping open lines of communication with the surgeon and asking thoughtful questions will help paint a more accurate picture in the patient’s mind of a reasonable post-operative result. It is also important to realize that no two patients will experience the same outcome, and this will be based on the severity of one’s pain, the procedure being performed, as well as how well the patient responds to recovery. For instance, a minimally invasive spinal procedure will likely be less invasive and result in less recovery time than a more intensive surgery such as an ALIF fusion that requires a larger incision. Surrounding oneself with friends and loved ones who provide encouragement and helpful feedback can help patients who are facing surgery to develop a more positive outlook. 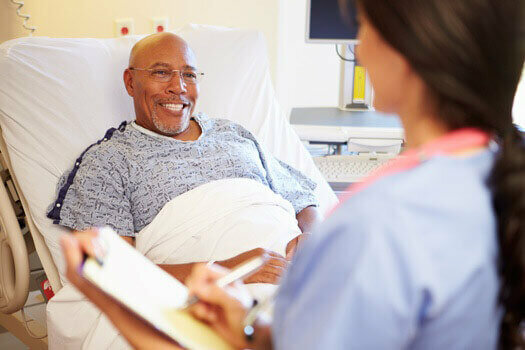 Talking with other individuals who have experienced the same procedure may also provide reassurance and help individuals to see the results that others have experienced after undergoing the same operation. For more information about spine surgery or a second opinion on your diagnosis and treatment options, reach out to The Spine Institute Center for Spinal Restoration and schedule an in-person consultation. Call (310) 828-7757 today.